Most of the time, a Windows 7 clean install means to remove an existing operating system (like Windows XP, Linux, Windows 7, Windows 10, Windows 8, ... it doesn't matter) and replace it with a fresh or "clean" installation of Windows 7. In other words, it's the "erase everything and start from scratch" process for Windows 7, a procedure referred to as a "clean install" or sometimes as a "custom install." It's the ultimate "reinstall Windows 7" process. A clean install is often the best way to solve very serious Windows 7 problems, like a virus infection you can't get rid of completely or maybe some kind of Windows issues that you can't seem to solve with normal troubleshooting. Performing a clean install of Windows 7 is also usually a better idea than upgrading from an older version of Windows. Since a clean install is a true start over from scratch, you don't risk inheriting any buggy situations from your previous installation. Note: The steps and screen shots shown in these steps refer specifically to Windows 7 Ultimate edition but will also serve perfectly well as a guide to reinstalling any Windows 7 edition you may have, including Windows 7 Professional or Windows 7 Home Premium. The most important thing to realize before performing a clean install of Windows 7 is that all of the information on the drive that your current operating system is installed on (probably your C: drive) will be destroyed during this process. That means that if there's anything you want to keep, you should back it up to a disc or another drive prior to beginning this process. One quick way to back up the list of programs you have on your computer is with the CCleaner tool. It doesn't back up the actual program data but simply a list of what's installed so that you don't have to remember every program name. You should also locate the Windows 7 product key, a 25-digit alphanumeric code unique to your copy of Windows 7. 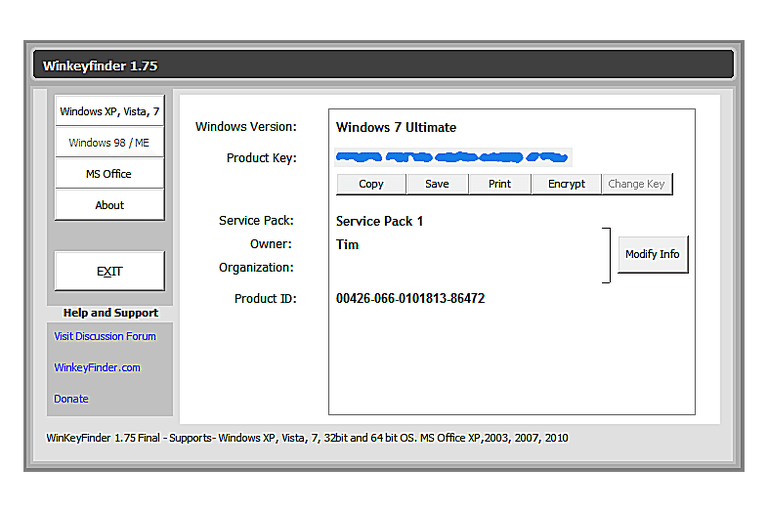 If you can't locate it, there is a fairly easy way to find the Windows 7 product key code from your existing Windows 7 installation, but this must be done before you reinstall Windows 7. Note: If Windows originally came preinstalled on your computer (i.e. you did not install it yourself), your product key is probably located on a sticker attached to the side, back, or bottom of your computer's case. This is the product key you should use when installing Windows 7. When you're absolutely sure sure that everything from your computer that you want to keep is backed up, proceed to the next step. Keep in mind that once you delete all of the information from this drive (as we'll do in a future step), the action is not reversible! I'm Available for Freelance Work. Feel Free to Contact Me. I'm looking for new partnerships, If you are interested can contact me at the email or send me a message.